build a brand new home, Blue Ribbon Design-Build does it all. With an impressive 40-year track record serving Orange County, Blue Ribbon provides each customer with distinctive designs, superior craftsmanship and reliable project management from… start to finish. 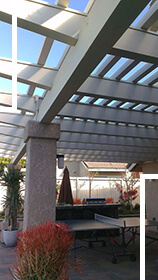 Blue Ribbon Design-Build, located in Southern California, California, is family owned and operated. Its founder, Marvin Crocker, started the company in 1964. The Crocker family, following a strict code of ethics and pledging to provide only quality workmanship, has made Blue Ribbon Design-Build one of Orange County’s most called upon homebuilders. Blue Ribbon’s ability to manage all of the people from the different groups was admirable. We will be glad to recommend your company to anyone who may have plans for a home renovation as we did. Our consultant and project manager could not have been more helpful, knowledgeable, kind or responsive. Both were not only available every step of the way, but frequently called us to find out how things were going and to troubleshoot or make sure everything ran smoothly… We could not be more pleased with the process and the product your company provided. We would be delighted to recommend Blue Ribbon in the future. We would like you to know how pleased we are with the results of the remodel recently completed on our house. Like all shoppers we received multiple bids on our project. Blue Ribbon’s bid was not only the best, but also easier and less complicated than the process with other similar companies. We continue to be impressed by Blue Ribbon’s commitment to quality, integrity and customer satisfaction. Thank you for your rapid response to our recent plumbing issue. Blue Ribbon was always readily available by returning our phone calls, informing us of upcoming work and their completion time frames. Their manner was both professional and friendly. Because of our positive experience with Blue Ribbon, we would gladly do business with you again in the future.